Few were able to call the result of this general election. At times, it seemed Labour would win a slim majority, then it seemed Theresa May would win a 100-seat majority, and some did think a hung parliament was an outcome too. Everyone is forgiven for being unable to predict the result – mainly because when we eventually got it, we were all surprised. The reason for the shock was predominantly because of how well Labour faired. Jeremy Corbyn – the underdog and political outcast – managed to gain 30 seats for the Labour Party and achieve the largest swing of the vote to Labour since 1945. Many of us thought that Corbyn’s kooky left-wing policies would be overwhelmingly rejected by the electorate. How wrong many of us were. Labour posed true socialist, left-wing policies in the campaign. It was no doubt a daring move and it seemed as though Corbyn was dipping his toe in the water a little bit. This election was a test for Labour – they asked the electorate if they fancied a trip back to the politics of the past. There would be no tuition fees under Labour, higher taxes on those earning over £80,000 a year, the renationalisation of the railways, the prevention of privatisation and an end to austerity under a Labour government. The manifesto was ‘leaked’, meaning the media – which has often been biased and against Labour – had nothing else to talk about other than Jeremy Corbyn’s policies. And whether it was a real leak (I am sceptical it was) or not, it did Labour the world of good. The old times were back and, for young people, their future was right in front of them. 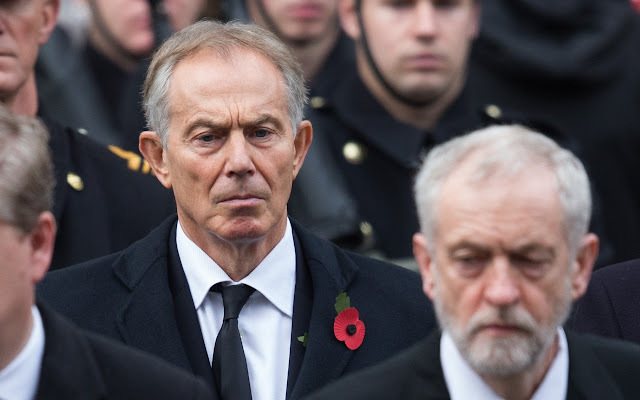 Jeremy Corbyn has taken the Labour Party back to the left again and has, in the process, killed off Tony Blair’s New Labour centrism. This is for the best, certainly in terms of party politics. Following the Iraq War and many people’s disillusionment with politicians, offering a centrist opposition to the Tories made it look to the electorate that there was no difference between the reds and the blues. Now, there is a difference – and people have voted for it. I suspect that there will be MPs (probably prominent ones too) who will try and keep the centre alive. They will probably feel deep inside that the Labour Party has gone in the wrong direction and by means either private or public, will attempt to infiltrate that boring and safe politics back into the party. Unfortunately for them, they will go down with the sinking ship of the centre. Young people in the election voted overwhelmingly for Labour. According to Sky News, the 18-to 24-year-olds voter turnout in this election was 66.4%, up from 43% in 2015. A survey of 14,000 people after they had voted by Lord Ashcroft found that two-thirds of 18-to 24-year-olds voted Labour and more than half of voters aged 25-34 also voted for Mr Corbyn’s party. These statistics show how young people have overwhelmingly accepted the return of the left. The numbers of the turnout of young people being so high also shows just how ready and passionate they are about this type of politics. It is unprecedented, but I expect we will see more of it. Now that Labour has found its place once again and is ready to fight, we the young people will put the final nail in the coffin of Tony Blair’s New Labour and those who don’t move with the times will indeed be lowered into the ground along with their politics. As they say in politics: you live by the sword and you die by the sword. The centre is dead now – and young people will bury it. As more pass over the 18-year-old threshold, more will reject both the centre and the right. The future, as predicted by most of us, will be bright for the Labour Party. As a former Labour shadow cabinet member under Jeremy Corbyn said to me: winning this election was “never on the cards” but “we have set the agenda”.